Banking on years of industrial experience and a dynamic workforce, we, Panja Industries, are operating as a proficient manufacturer and supplier of Industrial Equipment. The range includes Drill Bits, Shafts, Idlers & Rollers, Industrial Spares and others. Well versed in the latest engineering technologies, we precision engineer these products and make these highly usable and durable. Further, the products also possess other salient features like optimum strength, dimensional stability, abrasion and corrosion resistance. 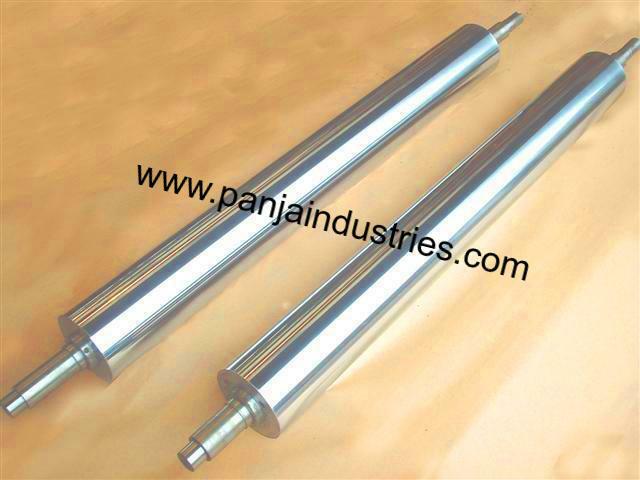 Panja Industries is manufacturer of Industrial Rollers as per client drawing and specification. We using high quality materials and technology. 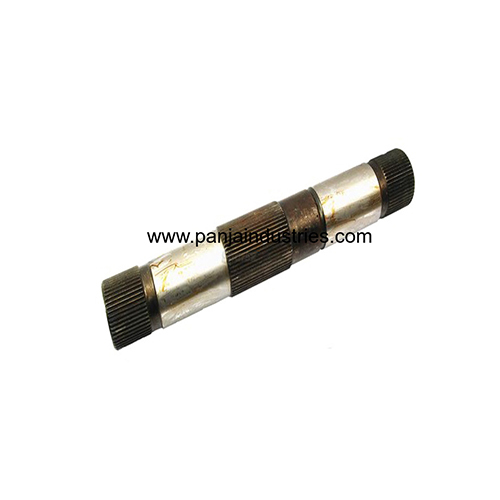 Panja Industries is manufacturer and supplier of Hydraulic Shaft in Kolkata. We manufacturer Hydraulic Shaft as per client drawing and specification. 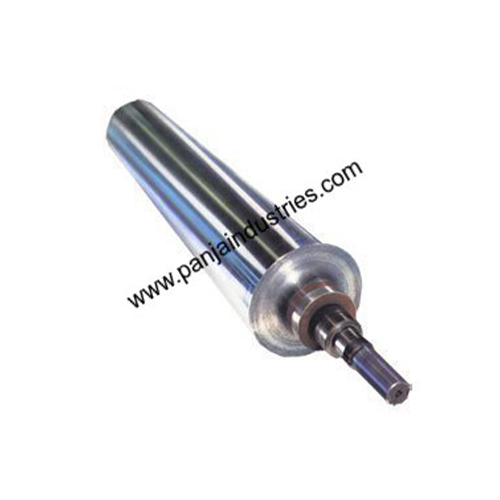 Precision Shaft Manufacturer, Panja Industries is a leading engineering spear parts manufacturer and supplier all over India, as per drawing and dimension. 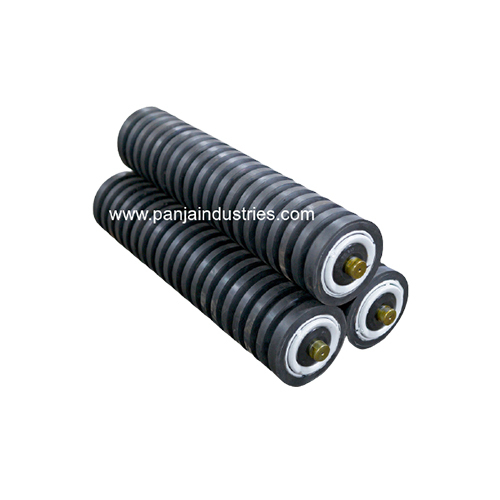 Panja Industries is manufacturer and supplier of Impact Roller in Kolkata. We manufacturer Impact Roller as per client drawing and specification. We are engaged in offering high grade Rope Drum Manufacturing, which is in compliance with universally accepted quality standards. In an order to ensure the same, we manufacture these rope drums by making use of best grade raw material, sourced from the reliable vendors. After the completion of the production process, we make these rope drums pass a quality test so as to ensure their defect free nature. Hard Chrome Plated Roller, panjaindustries.com is a leading manufacturer and supplier of Hard Chrome Plated Roller for Cold Rolling Mill. Our Hard Chrome Plated Roller is made as per customer drawing and specification. 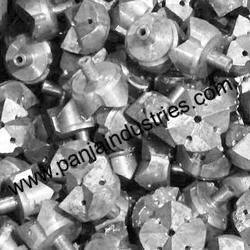 Panja Industries is manufacturer and supplier of PCM Pin Bush in Kolkata. We manufacturer PCM Pin Bush as per client drawing and specification. 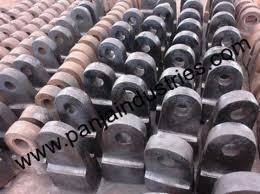 Panja Industries is manufacturer and supplier of Coal Crusher Hammer in Kolkata. We manufacturer Coal Crusher Hammer as per client drawing and specification. 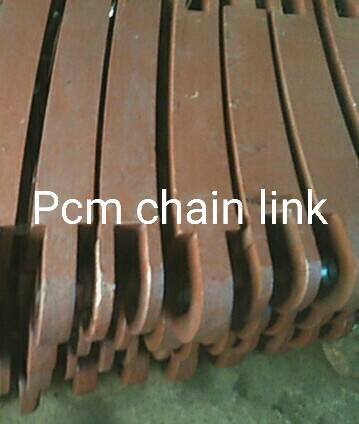 We are a leading manufacturer and supplier of Chain for DIP as per dimension. We are manufacturing and supplying Tong Core for DN100 Extractor as per specification. We are a leading manufacturer and supplier of Drill Bit for Blast Furnace. Our Drill Bit is made as per dimension. We are manufacturing and supplying Blast Furnace Tap Hole Drill Bit as per specification.  We are operating as a proficient manufacturer and supplier of Industrial Equipment. We are an engaged in manufacture various types high-quality Drill Bits, Shafts, Idlers & Rollers, Industrial Spares, Drill Shank and others since across more years. Drill Shank is highly demanded by our customers for its supreme finish quality. The shank is the end of a drill bit grasped by the chuck of a drill. The cutting edges of the drill bit contact the work piece and are connected via the shaft with the shank, which fits into the chuck. In many cases, a general-purpose arrangement is used, such as a bit with cylindrical shaft and shank in a three-jaw chuck which grips a cylindrical shank tightly. Different shank and chuck combination can deliver improved performance, such as allowing higher torque, greater centering accuracy, or moving the bit, but not the chuck, with a hammer action. 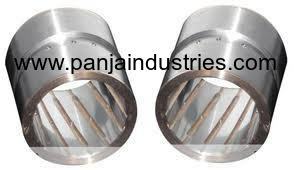 Panja Industries is a Blast Furnace Drill Shank manufacturer company in India. 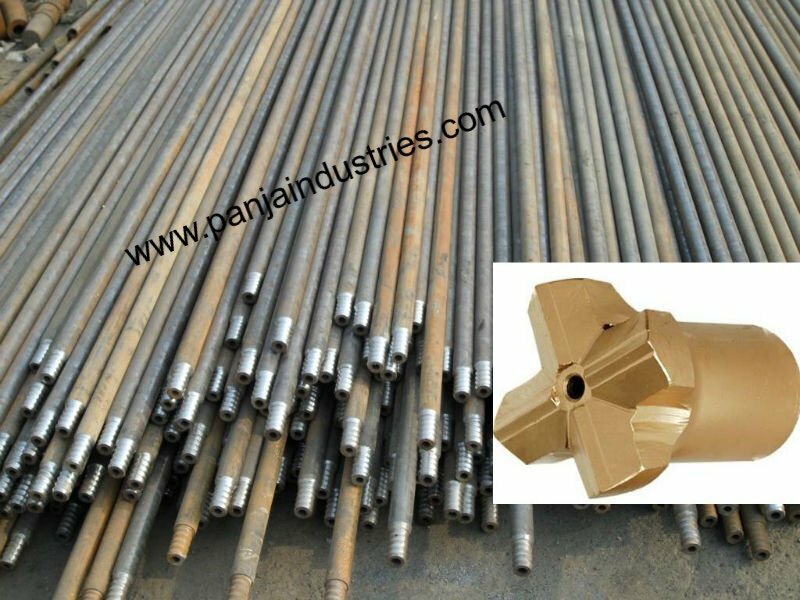 We are manufacturer and supplier of wide range Blast Furnace Drill Shank for our customer as per their specifications. Panja Industries is a manufacturer, supplier and exporter of Tong Body for DN100 Extractor in Kolkata. 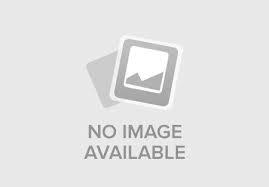 We are a high-quality manufacturer of Tong Body for DN100 Extractor as per client drawing and specification. 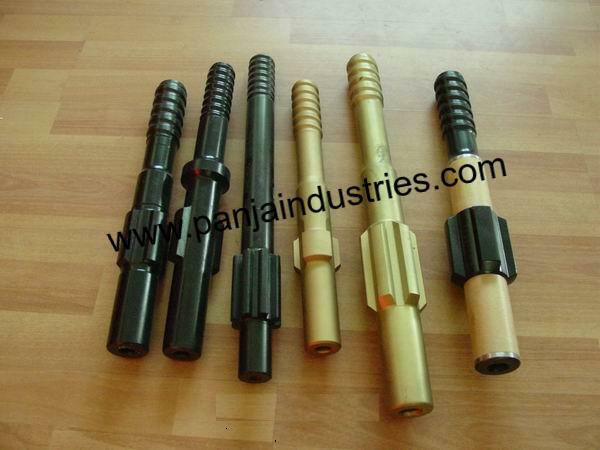 Blast Furnace Drill Rod, Panja Industries is a renowned manufacturer. This Drill Rod is used for Blast Furnace. 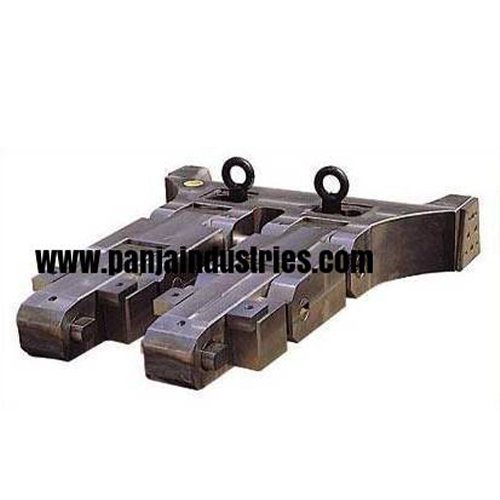 Dummy Bar Manufacturer, Panja Industries is manufacturer and supplier of Dummy Bar in Kolkata, India. We manufacture wide range Dummy Bar as per client drawing and specification. We are manufacturing and supplying Blast Furnace Mudgun Nozzle as per specification. We are provider of durable quality high standard Blast Furnace Drill Socket. We offer all standard Blast Furnace Drill Socket is also used for all industrials applications. Our offer Blast Furnace Drill Socket product is also available in market with its quality Features and market leading price. 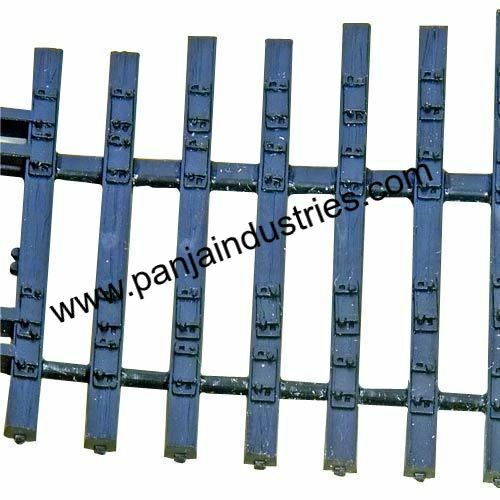 Panja Industries is manufacturer of PCM Tie Plate as per client drawing and specification. 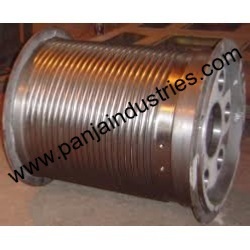 Panja Industries is manufacturer of Blast Furnace PCM Chain Link as per client drawing and specification. Copyright © 2016-2017 by Panja Industries . All Rights Reserved.